This was going to be a busy weekend for the awesome MR AGT crew effectively racing in two events on the same weekend. The format was two 1-hour races for the Australian GT 'Sprint' Championship on Saturday followed by a 3-hour Enduro event on Sunday (after a late night prepping the two cars) for the AGT 'Endurance' Championship. 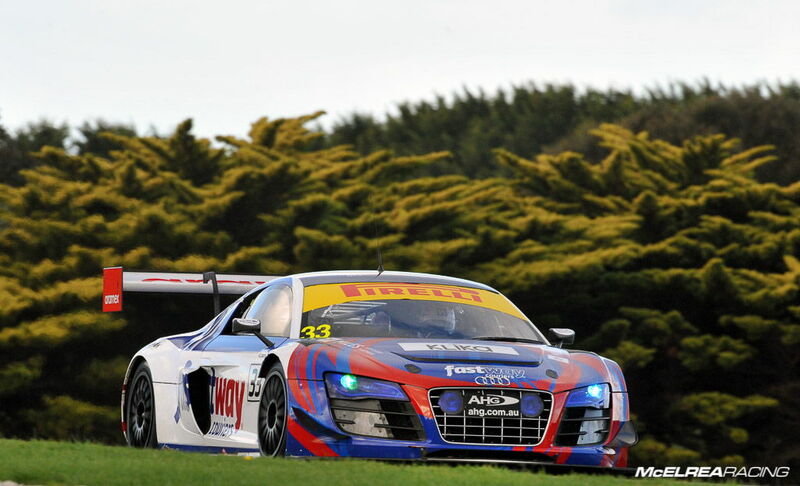 Tim Miles joined Simon Ellingham once again in the Fastway Couriers Audi R8 and Luffy finally got to dust off his helmet and join Tony Walls in the Objective McLaren in the Australian Endurance Championship (AEC) on Sunday. Due to the huge number of Pro drivers entered for this round Tony qualified 23rd. This was still a very good result against the other semi-professional drivers. In race 1 he had a relatively uneventful race and drove an extremely consistent race to lead the race after the compulsory pit-stops. He held the lead for twelve laps and eventually finished a very respectable 5th outright and 1st in the ‘Gold Drivers Cup’. Race 2 had a very eventful start with cars off the road on the run to the first corner and plenty of action. Wallsy was hampered by a vibration but continued to press-on well until being hit from behind into MG corner which damaged the rear diffuser. This forced him to have to reduce has pace to ensure he could make it to the end of the race without further body work damage or risking a DNF. Unfortunately this dropped him to 17th outright, and 3rd the 'GDC' class. Despite the bad luck in race two he finished the round 9th outright and second (by one point!) in the 'GDC'. 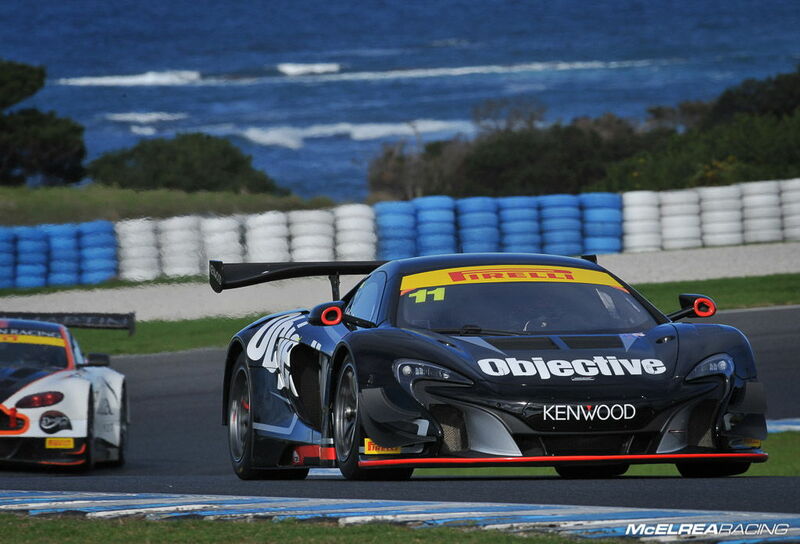 On Sunday, the combined time of Luffy and Tony qualified the McLaren in 13th for the long awaited AEC 101 lap race. This race is normally around three hours so qualifying lower than we wanted wasn't a big deal. As Luffy is a Pro driver, AEC rules state he couldn't complete more than 55 laps of the race. Tony started and the plan was to use the first tank of fuel then refuel Wallsy so he could complete his 46 laps before we put Luffy in to finish the race. Unfortunately Tony reported a lack of power from the early laps of the race. Both Tony and Luffy did exceptional work given the lack of straight-line speed to bring the McLaren home in 12th position. As another McLaren won the race, we are very confident we would he been punching for the win or at least a top three finish without the mysterious engine issue. Even the factory McLaren technician couldn't explain the reason for the temperature related performance issue so we will be in close contact with the factory in the UK to fix this issue before Townsville. After combining Simon and Tim's separate qualifying times together they started the first race from grid 26. Tim started and after going off the track to avoid an accident on the first lap, he did a great job passing plenty of cars before handing over to Simon. Unfortunately due to an mistake by a neighbouring team Tim was forced to park the car too close to the fast lane which resulted in Simon's receiving a drive-through penalty. This was very harsh considering another team caused the issue and they were not penalised. In race 2 Simon started from grid 25 and drove a solid race to hand car over to Tim in 22nd place. Instead of a typically smooth MR Driver change there were some issues with the seat belt buckle which cost the boys almost 50 seconds over-and-above their compulsory pit stop time. Despite a valiant effort from Tim to make up for lost ground the guys had a disappointing result. On Sunday Simon and Tim qualified a combined 23rd which was a very solid effort in light of the fact that the Fastway Audi is one of the few cars in the field with no 'Professional' rated drivers. Simon started the race and the plan was for him to do 45 laps, pit for a full tank of fuel and drive another 15 laps to get into the next fuel window for a short fill and fresh tyres to allow Tim to make it home on a full tank. The plan was great and Simon drove the fastest and most consistent laps he has ever done around Phillip Island during his stint. Unfortunately a glitch in the throttle pedal or software twice dropped the car to limp mode (allowing only 10% throttle) which required the main ignition power to be cycled each time to clear the fault code. This obviously cost a lot of time, but we were absolutely chuffed with Simons drive. When Tim took over he did another great job up on the wheel. His stint was hindered by two additional pit stops to rectify the floor which had started vibrating badly above 150 kph. Without the issues, we are certain a top 10 result would have been very realistic. 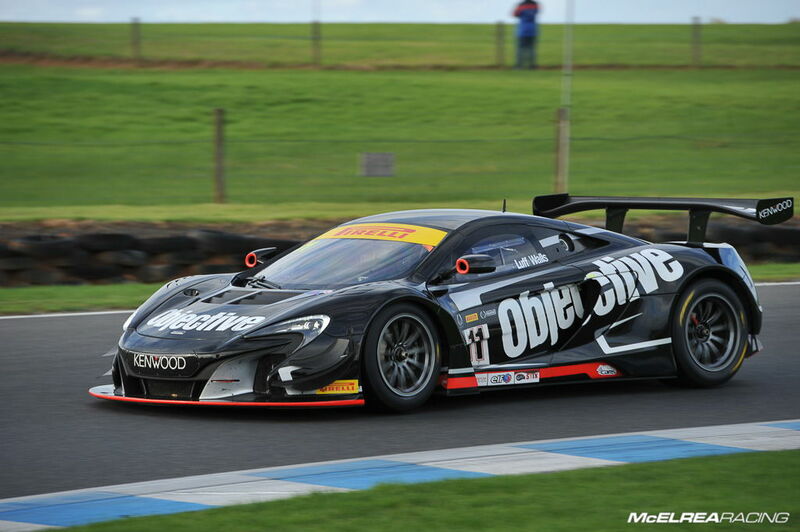 The next round of the Australian GT Championship is in six weeks in Townsville. After missing out on two really great results in the opening round of the Endurance Championship we are looking forward to a warmer climate and a better result. Thanks to all of you for following our progress and we hope to see you at a racetrack soon!